Finally after 8 - 9 years since Halo CE game and The Fall of Reach novel was released, Halo fans get to see what an actual member of the Forerunner race looks like in this story of how the Flood came to town. Origins starts with Cortana and the Master Cheif on the vessel where Halo 3 left off (seen only after completing the Xbox game on legendary setting) - Cortana reflects on human history and the history before that of the Forerunners. As she reminisces, Cortana tells the story of how the Forerunners first met the Flood and the battles that followed over the hundreds of years across the Universe. It's interesting to note the Cortana voice actor in this film is not the one used in the Halo games. Cheap Microsoft, Cheap! The plot of the anime tells us that 100, 000 years ago the Forerunner "faced a sudden and dire turn of events" - the Flood had come to the Universe. We are shown Sentinels losing the battle with the Flood and the Flood growing in power. At first it was thought the Forerunner would prevail but eventually the Flood spread 'too far and too wide'. We are shown shots of the Flood taking over and become more intelligent as it did so, using the knowledge of the people it overcame against those remaining. We are actually shown images of the Forerunners for the first time in the history of Halo. They were purple or yellow bipeds that looked like parrots - though the purple may be a suit of some kind. The anime film then tells us how the Forerunner came to prepare the Halo Ring Array in an effort to starve the Flood of their food sources by actually destroying all intelligent life. I have an idea, lets kill 'em all! Origins tells how the Forerunner gathered up the universe's intelligent life for safekeeping in the form of DNA, embryos and live specimens and somehow stored them safely. They then fired the Halo Array and destroyed everything in the universe, including many of the species that have been found in the Halo universe. After the Flood was starved and defeated, the Forerunner repopulated the universe, including putting mankind on Earth. Origins shows Earth as also being chosen for the site of the entrance to the Ark and its placement on Earth. To do this rebuild of the universe however, the Forerunner had to sacrifice themselves, as Cortana put it, 'eternally'. This is something I don't get however - if they can save some lives and repopulate the universe etc, how come they couldn't do it for themselves? Makes me wonder if they opened up a worm hole in space or something to hide in..... insert your considered thought here! Origins is basically a very brief yet concise telling of the Forerunner's dealings with the marauding Flood. Before they went to work at 343 Industries, the boys of Ascendant Justice covered this area really well when Halo 3 was released. Their discussion of the Terminals found in Halo 3 is probably the most insightful writing you are going to get on the subject of Forerunner vs Flood. The Forerunners were a flourishing race of beings which occupied our galaxy successfully until they suddenly vanished approximately one hundred millennia ago. Prior to their disappearance, they were the pinnacle of sentient evolution and any race which came before them is now only considered theoretical or legendary, despite there being some evidence of the Precursors. They were a socially and technologically advanced society with amazing architecture that melded their profound knowledge of physics with a geometric and organic aesthetic. They acquired a keen ability to integrate natural resources on their artificial worlds into functional purposes. While it is unknown when and for what reason they first began manufacturing self-sustaining worlds, we do know that they had produced at least eight various installations connected to the Halo Array weapon system and at least one planetoid or 'shield world’ (although likely more) in a process which is now referred to as the Onyx Project. See? That's quality. Mgmt has requested Halo Reach Game News steps up to the plate like them.... we say ha! 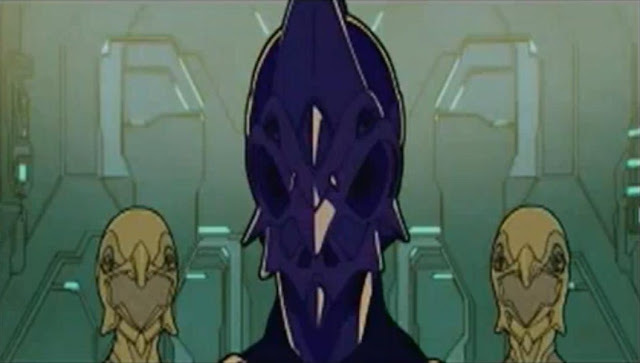 Halo Origins is part of the series of the Halo short anime films. As Microsoft describes it "Halo Legends is an unprecedented gathering of the finest talent in Japanese animation that have drawn together to explore the mystery and action of the Halo universe. Eight episodes and a stunning range of visual styles shed new light and epic perspective on Halo lore." Halo Reach Game News has covered some of these stories including The Babysitter and The Duel. Here's some Forerunner troops in action - note the 'pistols' look like ones the Grunts use.... kinda?